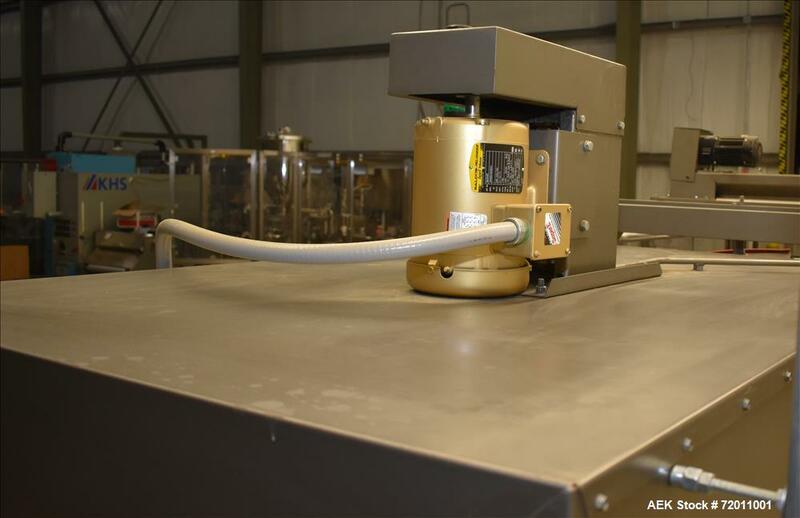 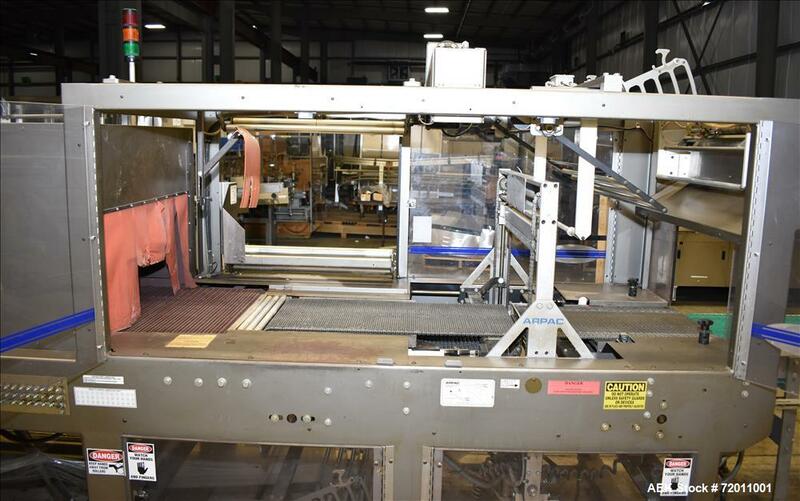 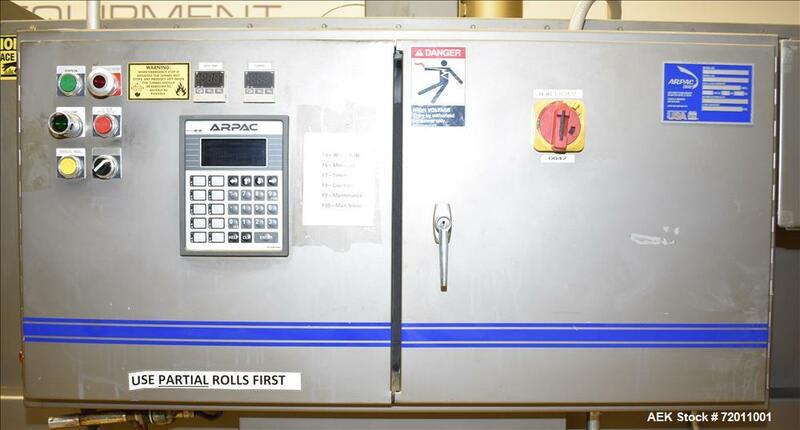 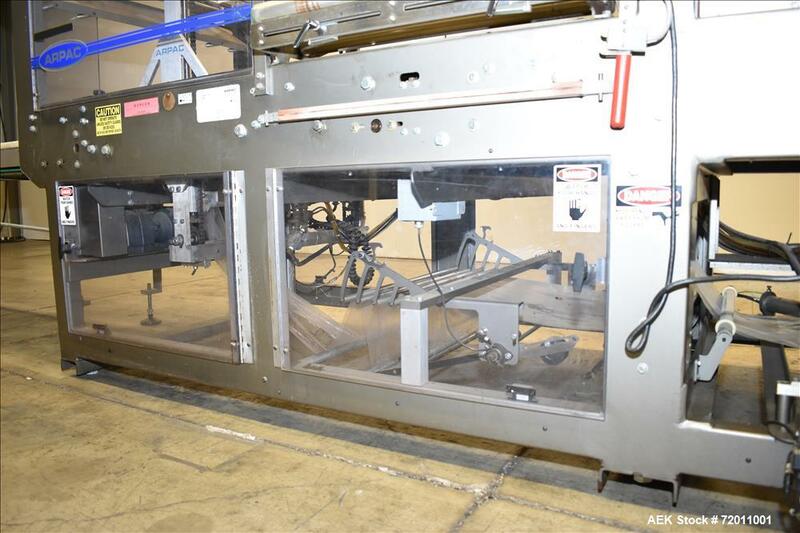 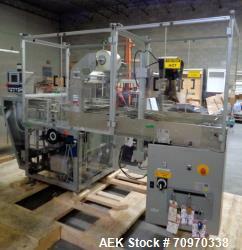 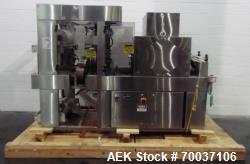 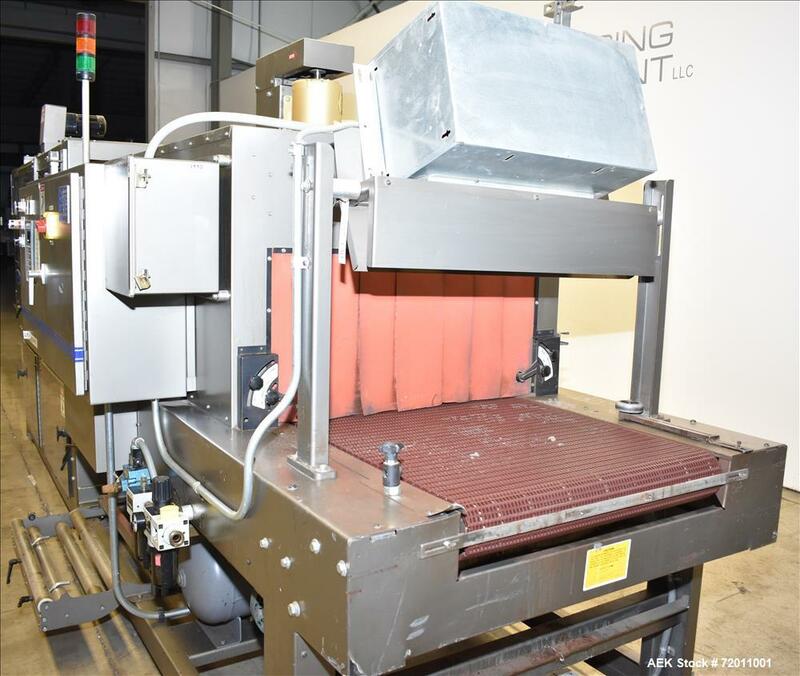 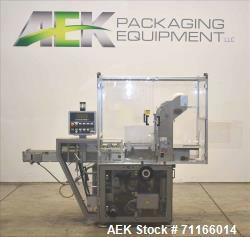 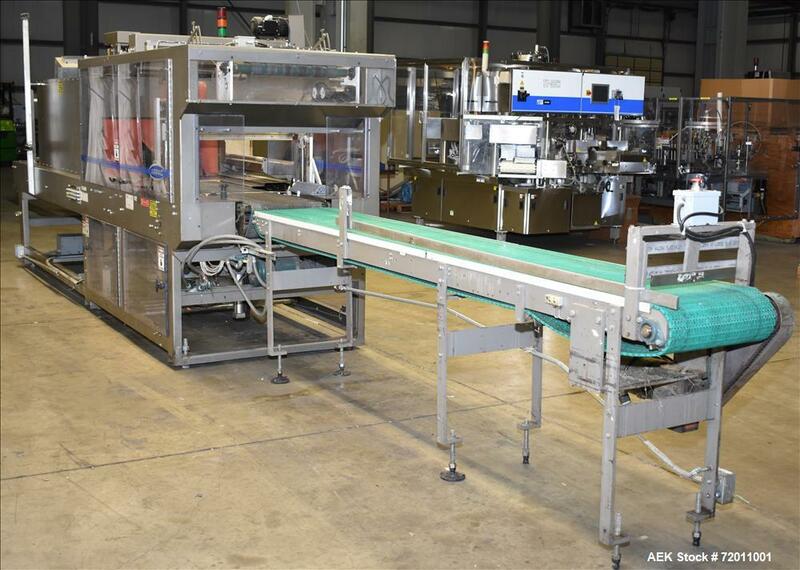 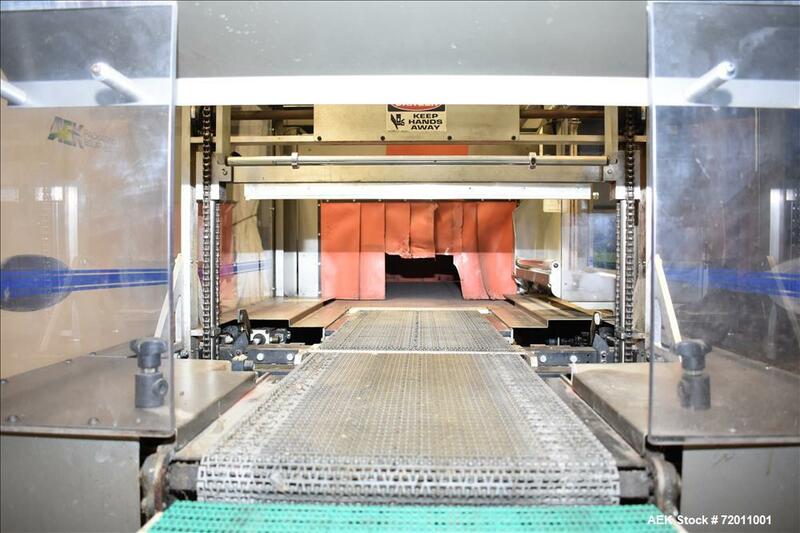 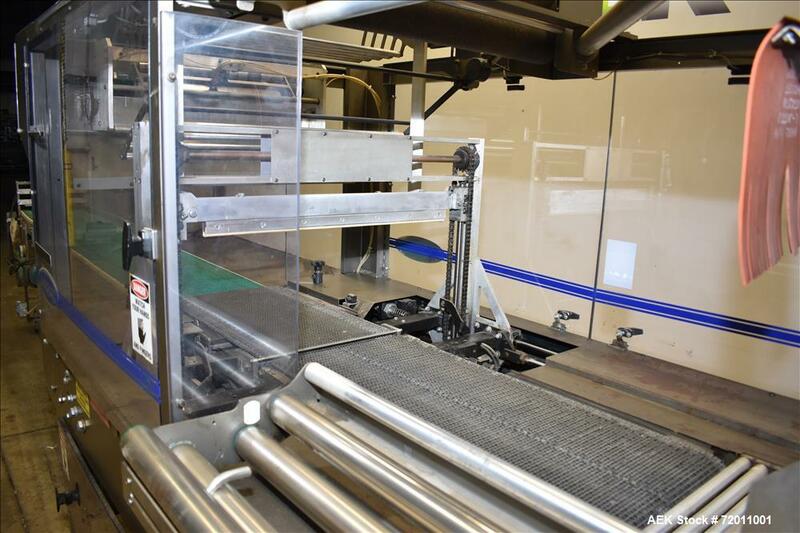 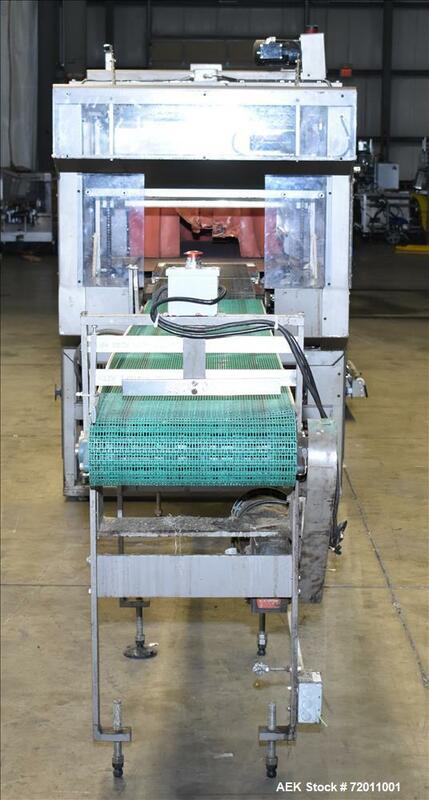 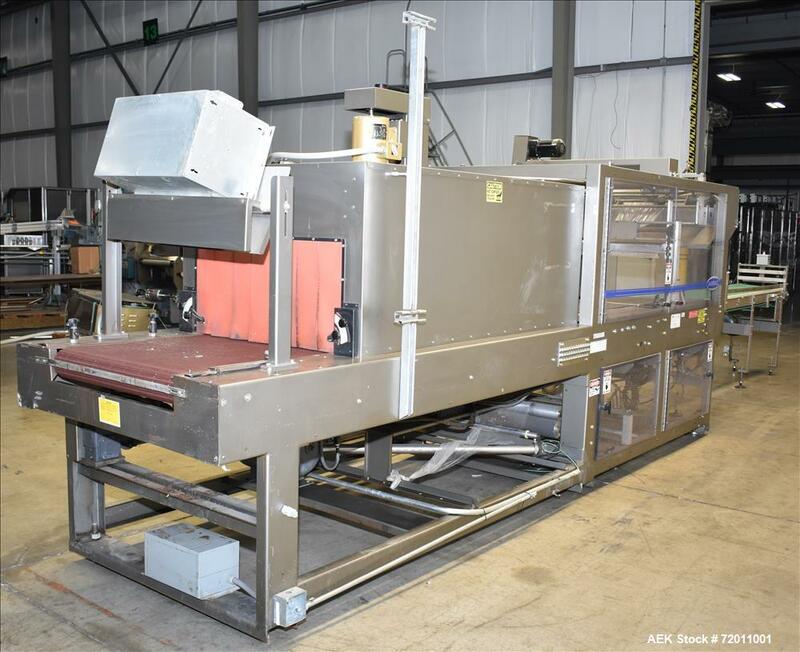 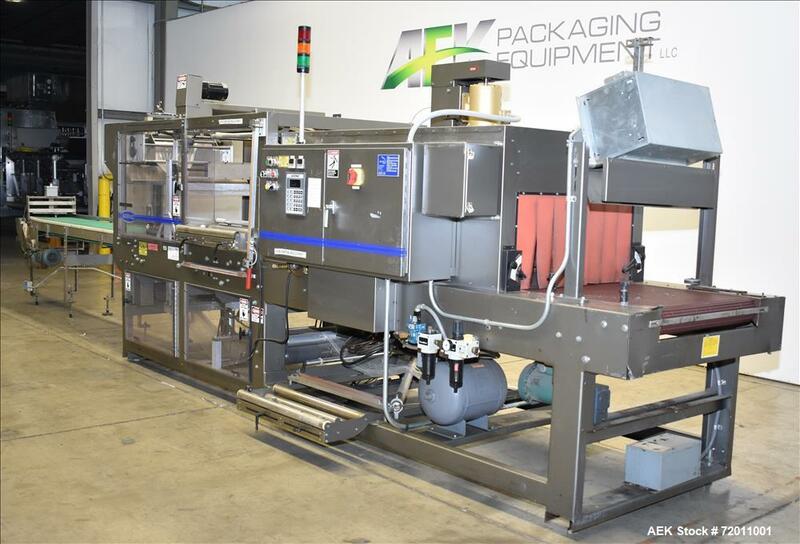 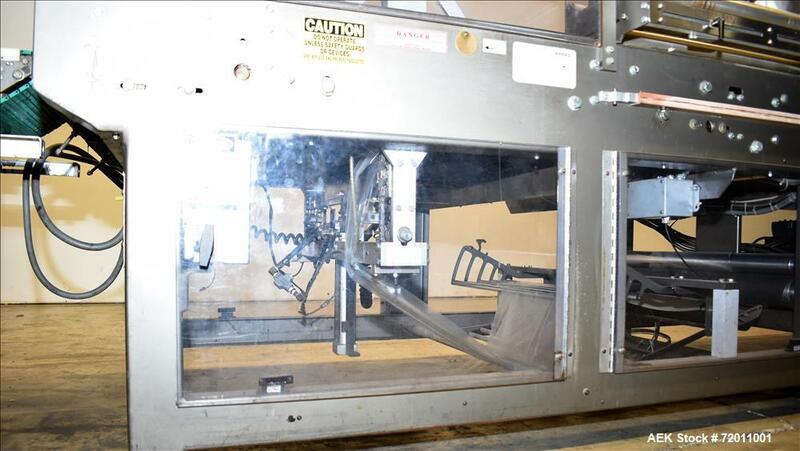 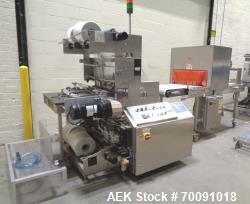 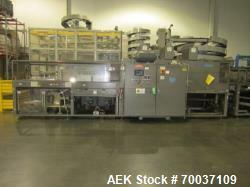 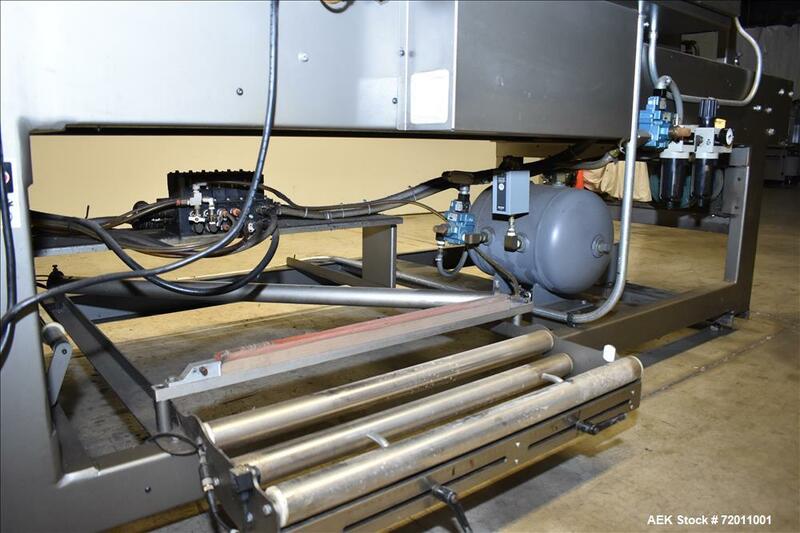 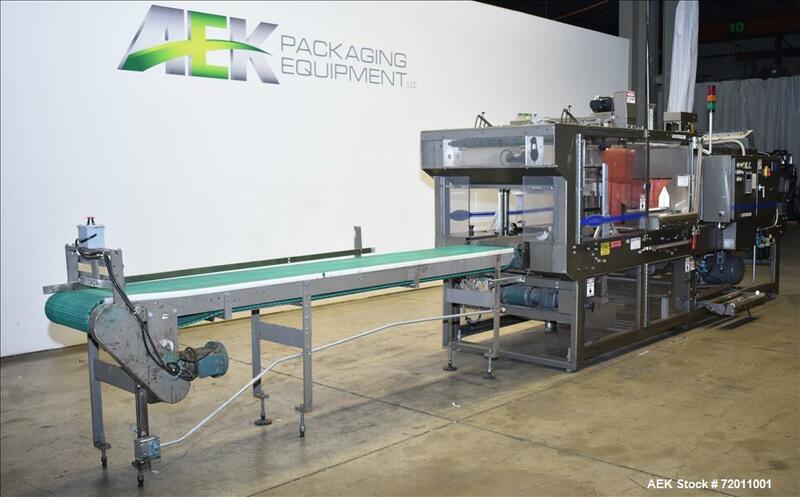 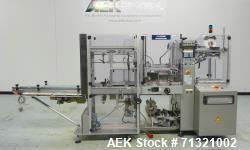 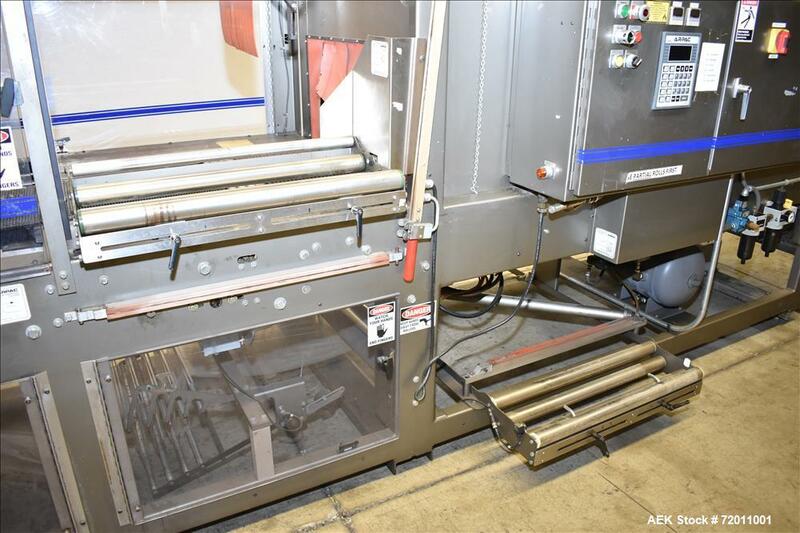 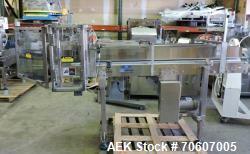 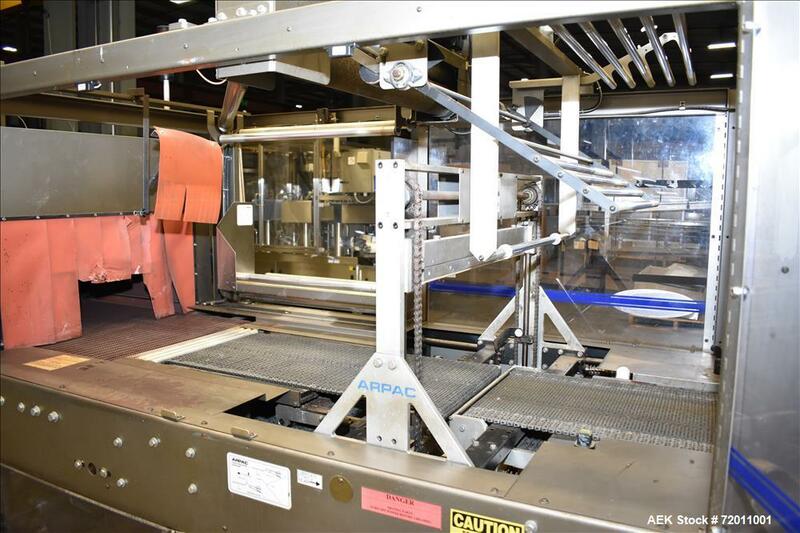 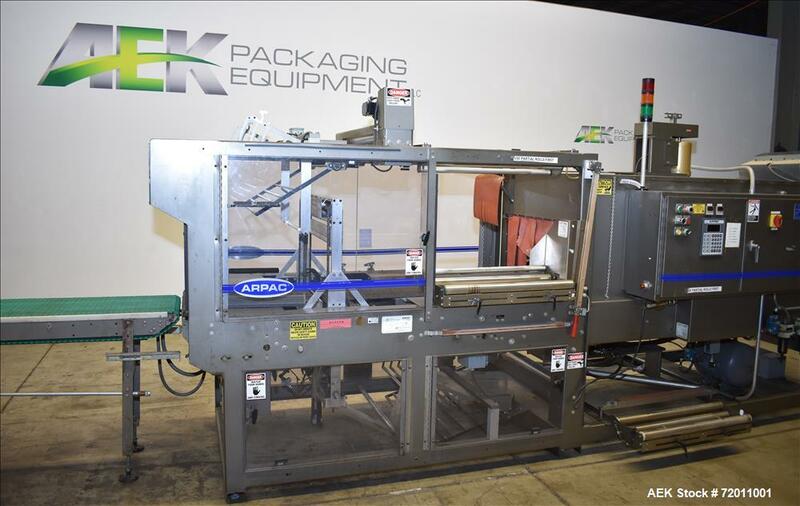 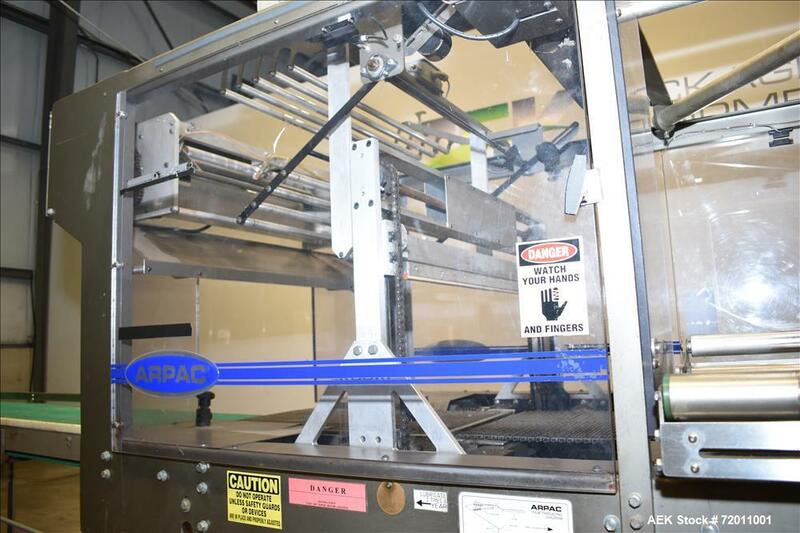 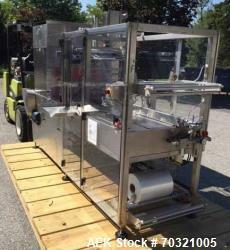 Used- Arpac Model 45TW-28 Automatic Shrink Bundler. 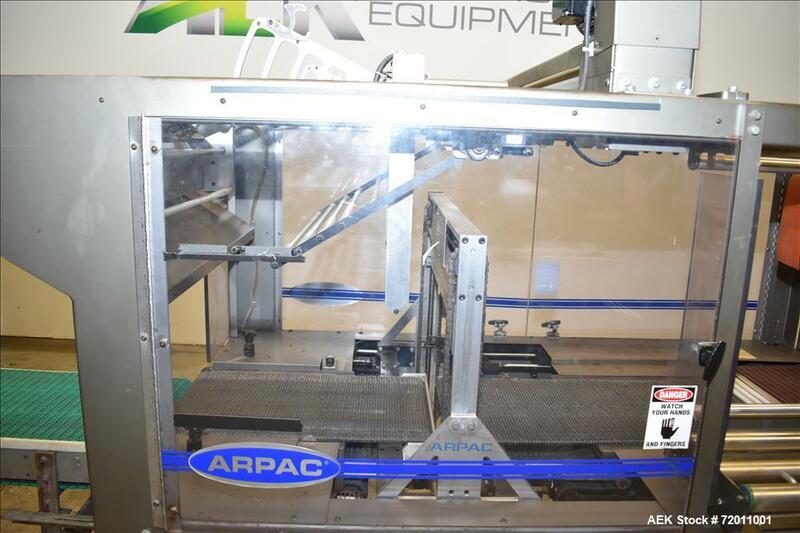 Used- Arpac Model 45TW-28 Automatic Shrink Bundler. 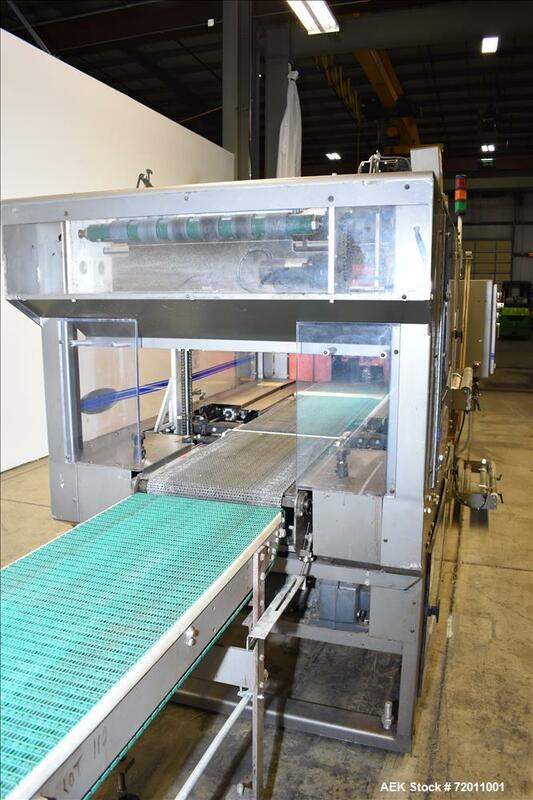 Capable of speeds up to 45 bundles per minute depending on product size and applications. 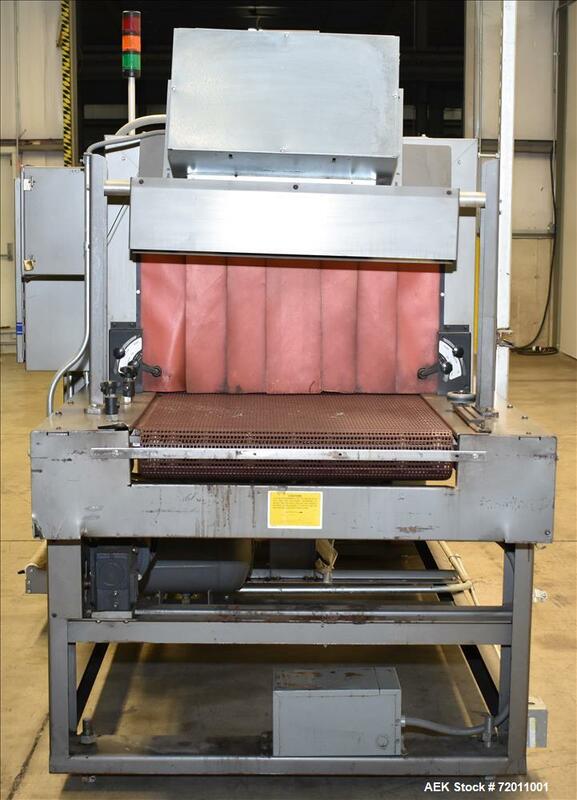 Product size range: 6" - 20" (length) x 6" - 17" (width) x 2" - 10" (height). 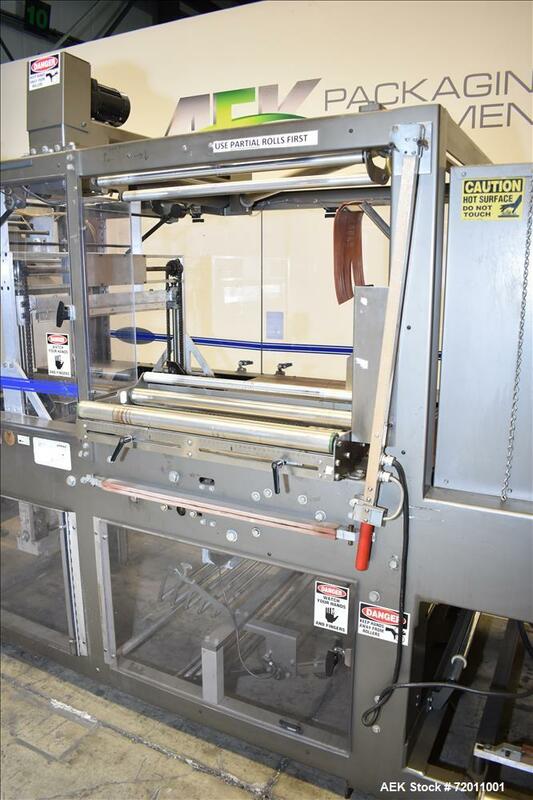 Has a maximum film width: 27" single-wound, clear or randomly printed film. 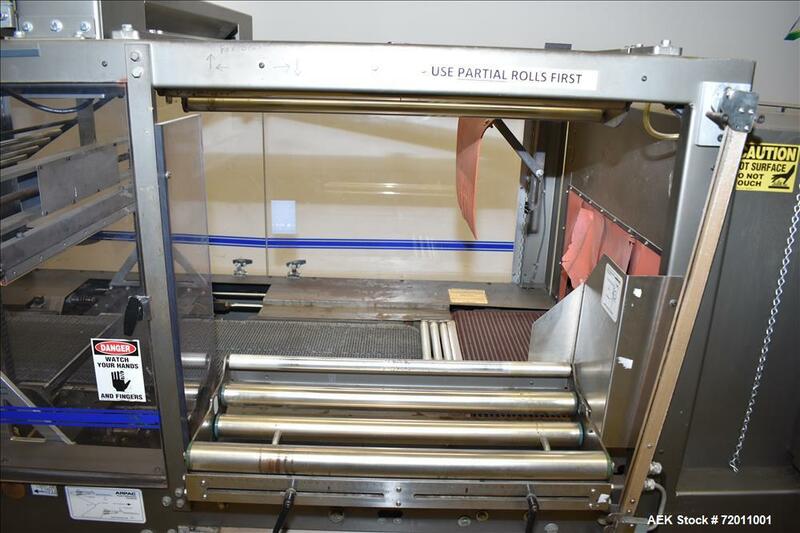 Maximum roll diameter: 14" on 3" diameter core. 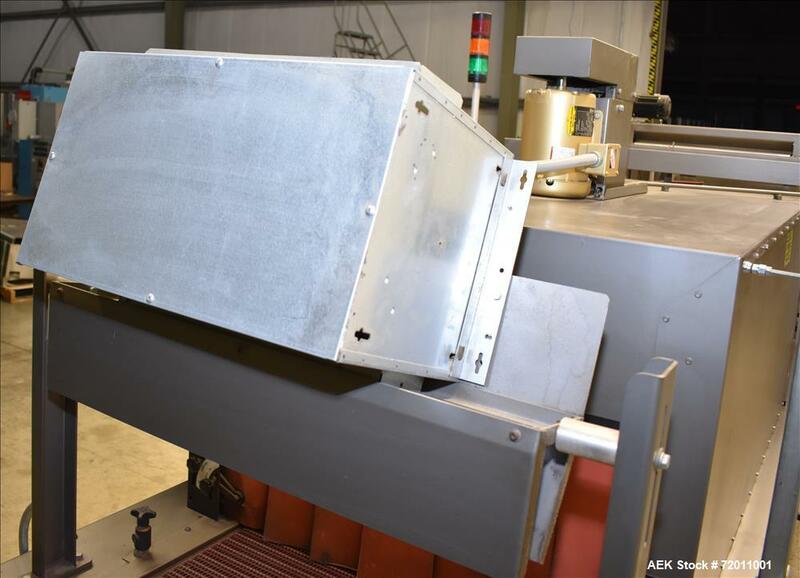 Maximum film gauge: up to 4 mil. 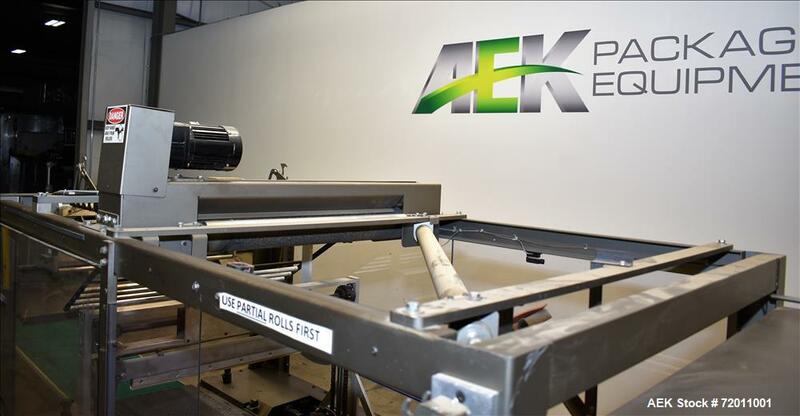 Film type: low density polyethylene (L.D.P.E). 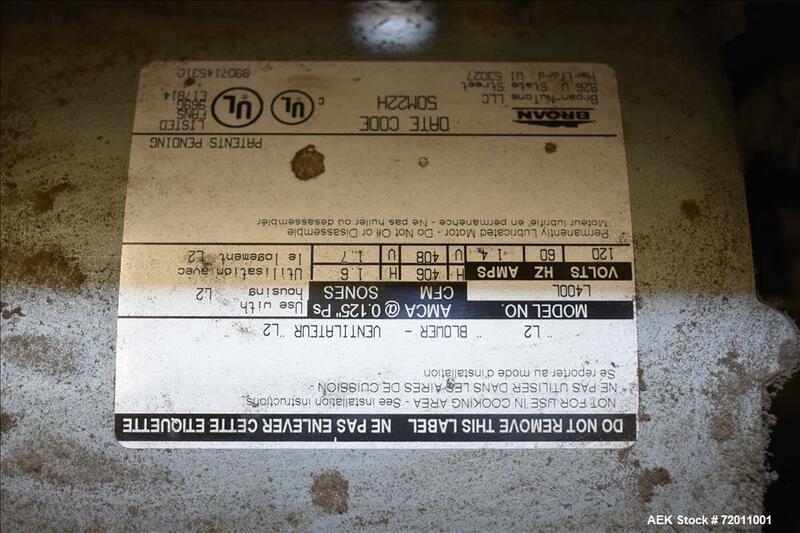 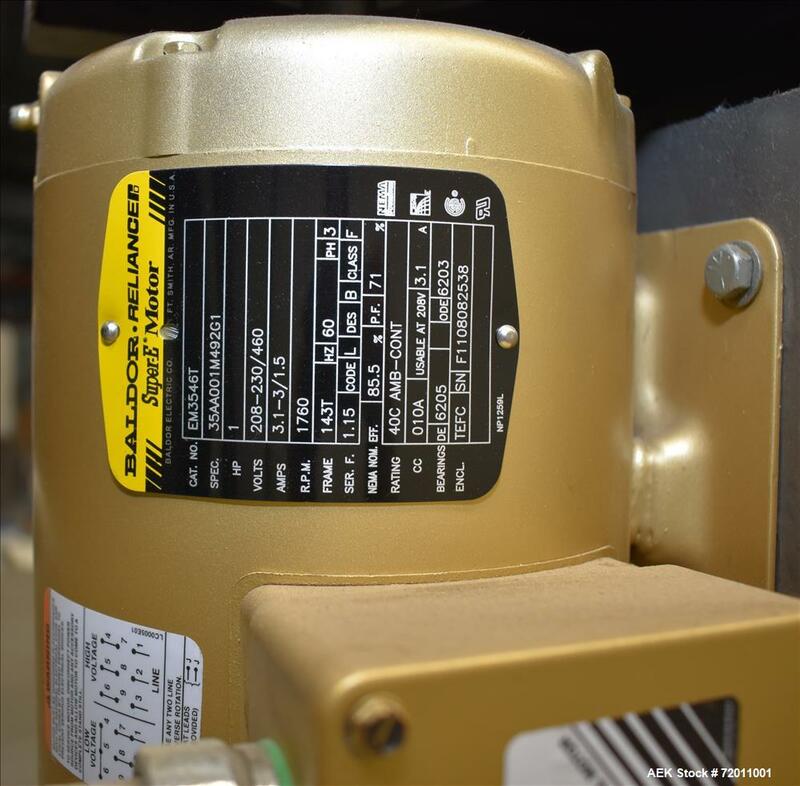 Compressed air requirements: 30 scfm at 80 psi. 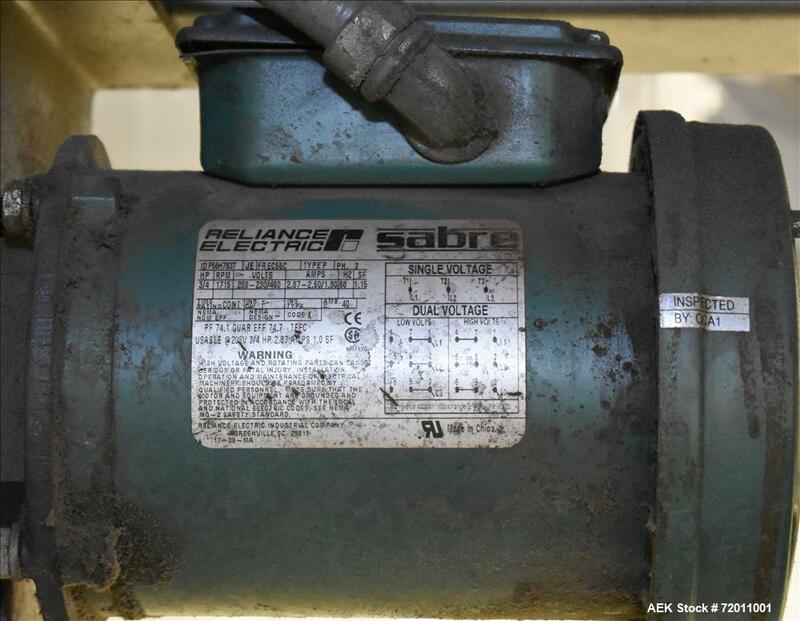 Heavy-duty rugged construction. 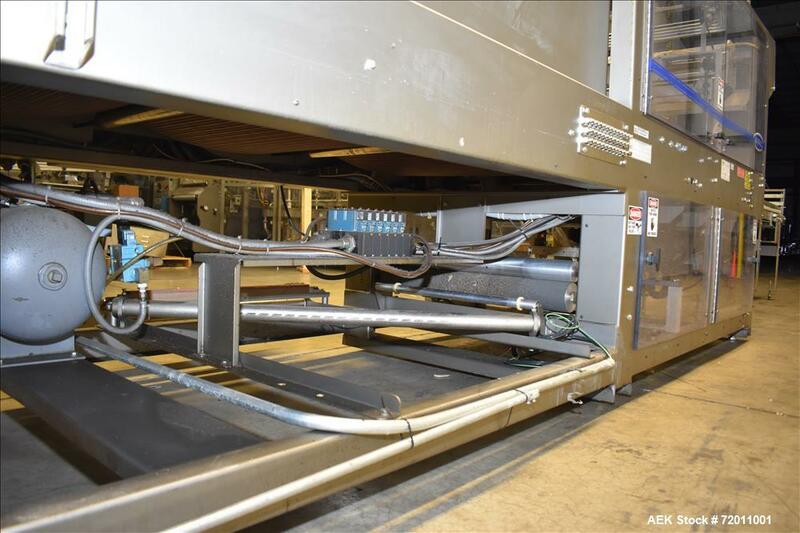 Has package cooling fan at tunnel discharge, cluster lube, and heated splice bar. 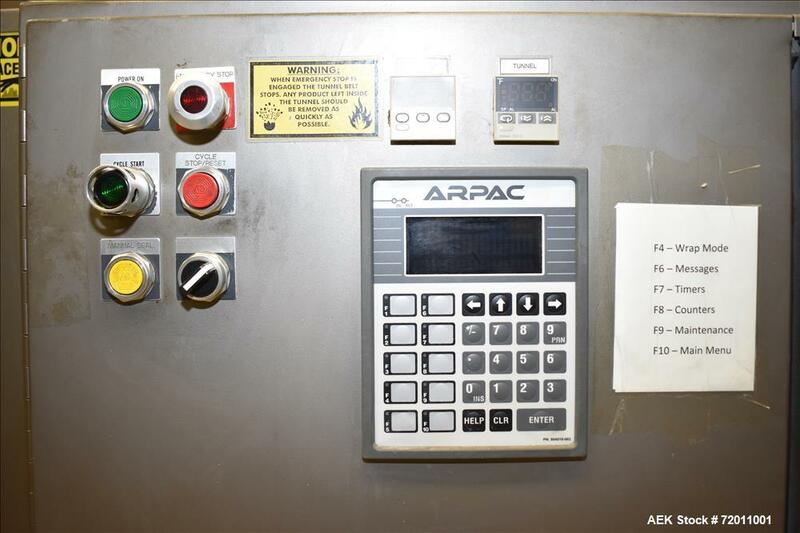 Allen Bradley SLC 5/03 PLC controls with Arpac HMI interface. 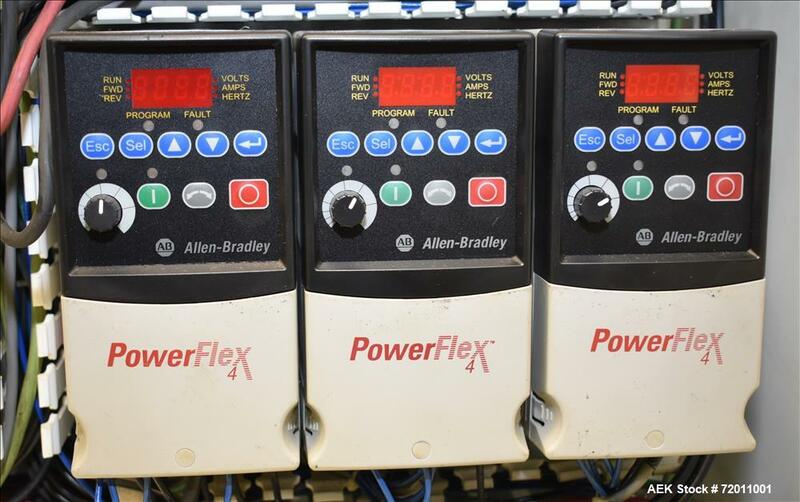 Controls can be upgraded at an additional cost. 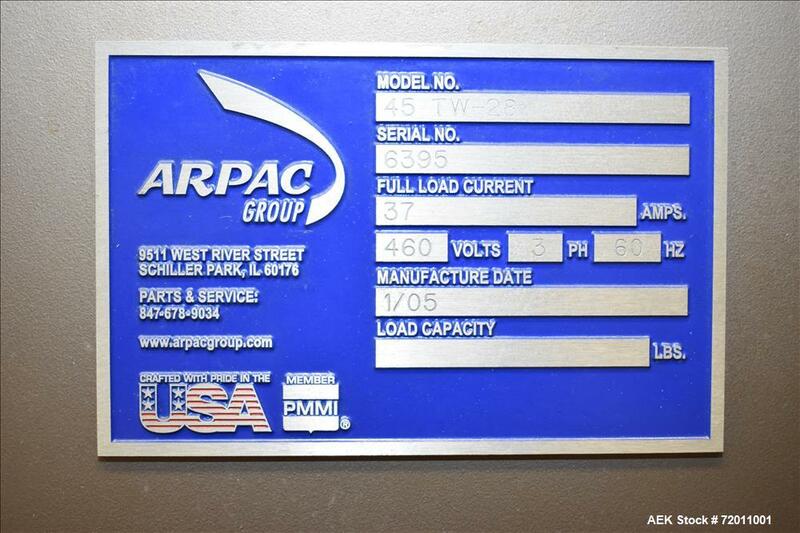 3/60/460V. 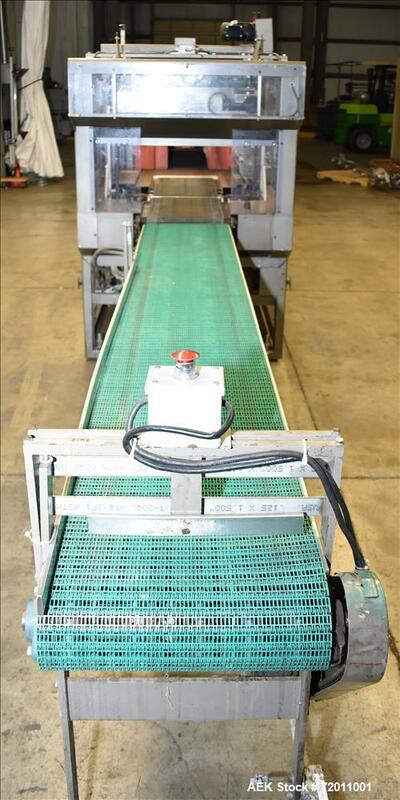 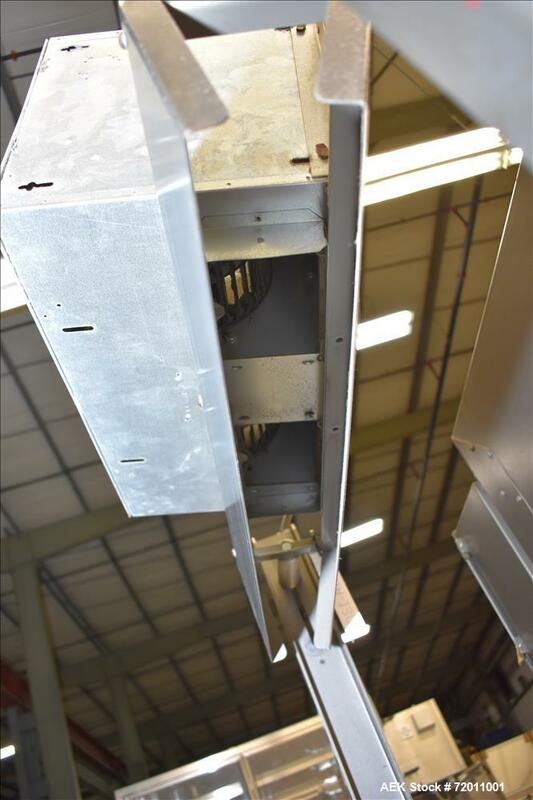 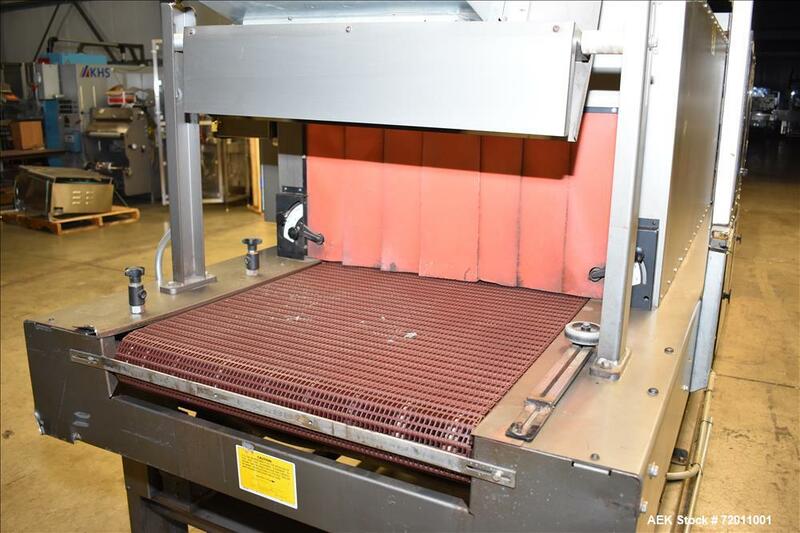 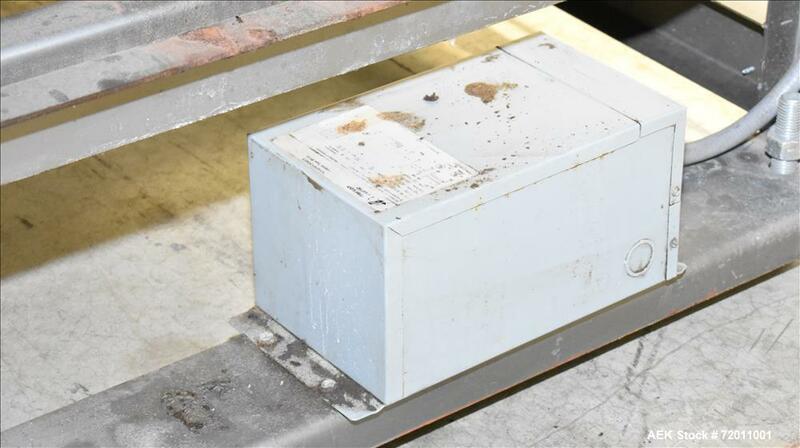 Has an 18" wide x 126"' long conveyor for accumulation at discharge. 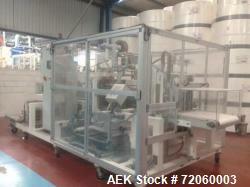 Last used in Pharmaceutical Animal Health application. 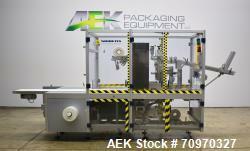 Package Size Range (Length) 6" - 28"
Package Size Range (Width) 6" - 18"
Package Size Range (Height) 2"-10"